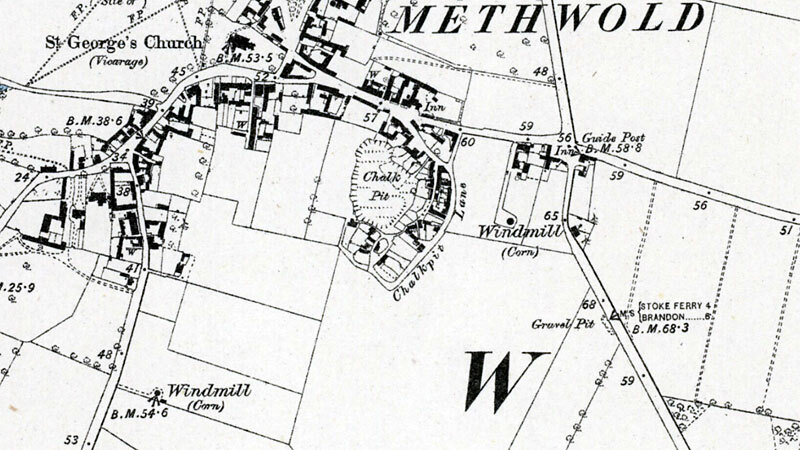 Methwold Old Feltwell Road towermill was probably built in 1875 as it has a datestone inscribed HCW 1875. The patent sails were turned to wind by a fantail and drove 2 pairs of French burr stones, a flour mill and a sifter. The mill had an ogee cap and a fantail. 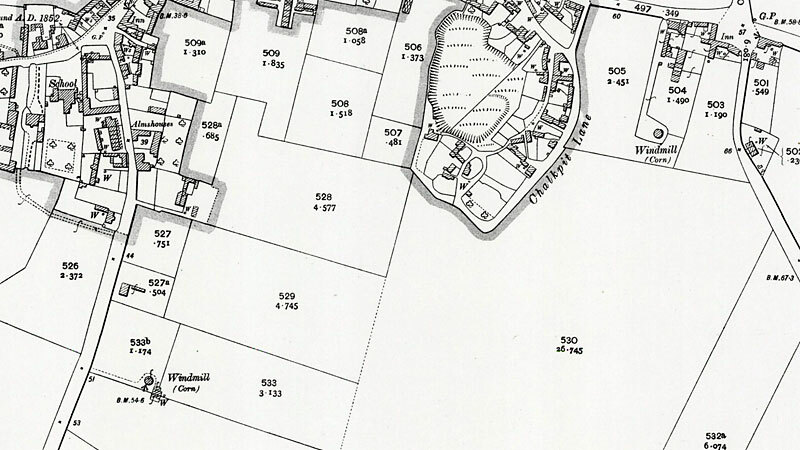 A bake office was also run on the mill site, which was situated in the farm yard of Prospect Farm. By the 1970s the tower had been reduced to three storeys and calves were being kept on the ground floor. "........You will be sorry to hear of the death of Roberts Brother Tom. He was doing a little sement on the top of Henrys Mill. He had to be drawn up with pullys in a hoist. He had done part of it and Henry was helping the boy to draw him up again after diner when one of the nots in the pully gave way and let him fall to the ground, barely clear of those below. He was all onconsious for some time. Henry did the best he could in his fright. Help was soon at hand and they brought him home on a board, there were no bones broken but the Doctor said the back bones was pushed up one into the other which was so bad nothing passed from the stomick. His sufferings for 25 hours was great he was very conscious. I said to him I am afraid my Brother will be blamed for this so said he there is no one to be blamed it was the heat of the sun on the roofe that had been dressed that caused the not to give way. You can better juge of poor Marys trouble than I can describe, and what a greef it was to us all. I never knew any thing to touch Robert so keenly. He has been able to render his Brothers Widow good services in closing his business. 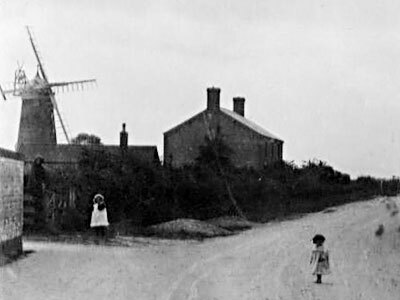 He has left enough for her to live on for several years but her loss is great......."
A NEWLY BUILT BRICK TOWER WIND-MILL with four patent sails, two pairs of French Stones, wind tackle & all modern machinery, standing upon 4 acres of good Freehold Land near a small market town. Also a Dwelling house & Bake office. Owner retiring. Business established upwards of 40 years. For particulars & order to view apply to Banham & Son, Methwold. WANTED, a situation as above; 15 years in last situation. Apply to Jacob Allen, Watlington, Downham. 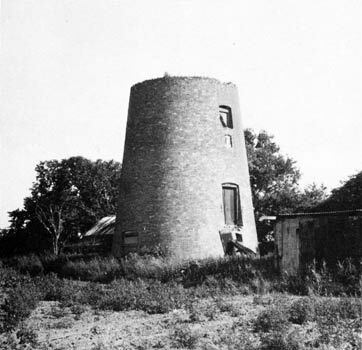 FOR SALE by Private Contract with immediate possession if desired a BRICK TOWER WINDMILL built only seven years since, having Patent Sails & wind Tackle, two pair of French Stones, Flour Mill, Sifter, 4 ½ acres of excellent Arable Land, Cart Lodges etc. 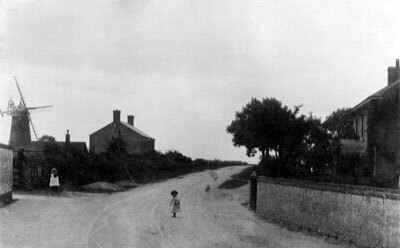 Also a DWELLING HOUSE, Bake office, Stables etc. situated at Methwold, belonging to Mr. Henry Capp Wortley who is declining business. Attached to the above is a genuine old established & profitable business which in the hands of an enterprising man may be largely developed. Fullest particulars will be given to a purchaser. 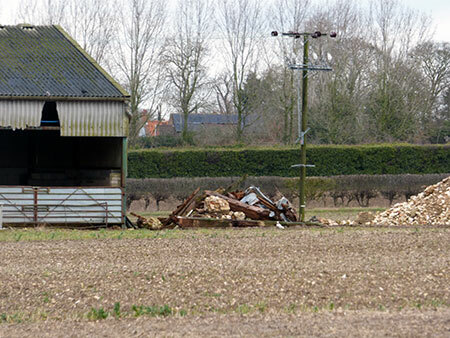 Apply to Edward Banham & Son, Auctioneers & Valuers, Methwold. of Mr. Henry Capp Wortley who is giving up business. The death took place last week of Mr. Joseph Theobald, miller, at Methwold, in Norfolk, at a ripe age, having been born at Hythe in 1835. He had for many years carried on Methwold windmill and was highly respected. He was a devoted Wesleyan and held the office of circuit steward. He was also for many years superintendent of the Wesleyan Sunday School. ... at Methwold are two derelict towers without caps. 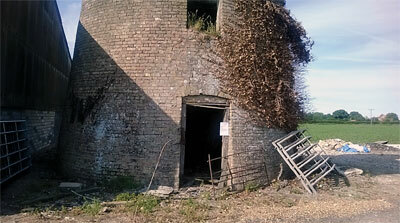 A terrific gale one day wrecked the sails of the two mills at Methwold & one at Feltwell, this put them out of action. J. Allen later used an engine but not for long as it was too expensive. By 2016 the remains of mill tower was leaning and becoming dangerous with falling brickwork and permission to demolish the remains was finally obtained. I would imagine the windmill was demolished in the summer of 2016. When I visited in June that year there was a planning notice to demolish the mill and when I spoke to the owner he was pretty hellbent on clearing the site because of vermin inside the mill. Census 1881: Henry Capp Wortley, miller & baker, Crown Street, Methwold.